The Bellagio Hotel on the Las Vegas strip has been interested in getting a clearer understanding of the hotel’s water use in different applications and learn where there might be opportunities to eliminate water waste throughout their operations.  The Bellagio has partnered with water tech company, APANA, to address this issue. APANA is applying its water management system technology at the Bellagio, working with property owner and operator, MGM Resorts International, to examine patterns of water use and identify any hidden water waste in a pilot project involving the site and its prominent fountains. Allen credited MGM’s corporate office for the work they have done so far to ensure water conservation at their Southern Nevada properties. He said that type of foresight allowed the corporation to see how significant this project with APANA could be. The pilot project, a partnership between Apana, MGM, the SNWA and WaterStart, is using Apana’s scanning and analysis technology to locate any points of water waste or concerning patterns of water usage at selected points within the Bellagio’s massive infrastructure. Such scans will allow Bellagio to tweak its water use and note which, if any, points within its system are prone to water waste. President of APANA, Tom Doll, added that almost every project the company has been involved in has “uncovered some very interesting results.” For instance, after connecting for a very short time with one client, Apana located a malfunction that caused a 1,200 gallon per day loss in a hot water line. Early results from the pilot, which began in the summer of 2018, are currently being collected and this case study will be updated when the information becomes available. Insight into local companies’ water behavior and usage will allow the water authority to better tailor incentives to businesses. The partnership with the Bellagio will be the first time the SNWA will have access to such detailed information about a resort’s water utilization. Such knowledge is expected to help the organization answer questions about the most efficient and cost-effective relevant water conservation techniques for big local businesses. The SNWA is particularly interested in assessing the inefficiency of water cooling towers, and they will have the chance to observe the Bellagio’s data to measure the effectiveness of those devices through this pilot. “We’ll get great insight about how water is used in resort operations – from hot water systems and restaurants to cooling towers, pools, and water features. The information we get from the pilot program and high-resolution monitoring could help inform future conservation program offerings or uncover opportunities to improve efficiencies and response times to leaks,” said Sovocool. Apana is often looking for what can’t be seen. Tucked behind walls or under roads, water infrastructure is often hidden, meaning everything from small flaws to larger malfunctions can go unseen without frequent monitoring. Using smart Internet of Things (IoT) sensors, APANA technology captures high resolution data from across an organization’s water infrastructure which is then sent to APANA’s secure, cloud-hosted analytics engine. Incoming data is constantly read by advanced proprietary analytics. The system looks for patterns and discrepancies across 1000’s of potential failure points to pinpoint waste events. Waste is identified in hidden equipment malfunctions, or in plain sight, like hoses left running or excess shift use. When waste events are identified, staff and managers are sent instant, actionable alerts.